This item has a 12 working days delivery time. Replace that outdated chalkboard or whiteboard with an Acer Smart Touch Kit to make classroom learning more engaging and interactive. 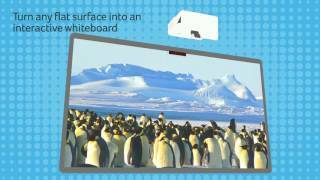 Turn ANY short throw or ultra short throw projector into an interactive whiteboard display. It saves on expensive whiteboards and accessories by using the Smart Touch Kit to project an interactive touch-sensitive display onto any wall or flat surface! See the videos for more info on how the Acer alternative interactive whiteboard works and how easy it is to use. The cheaper solution for an interactive whiteboard replacement, the Acer Smart Touch Kit ideal to make classrooms or meeting rooms more engaging and interactive. You can save a small fortune on a replacement interactive whiteboard with this solution and it works just like any normal whiteboard with no shadow or delays. 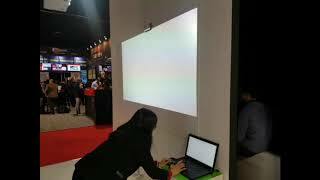 Turn any short throw or ultra short throw projector into an interactive whiteboard display that you can take anywhere. Save on expensive whiteboards and accessories by using the Smart Touch Kit to project an interactive touch-sensitive display onto any wall or flat surface! If you also need to purchase a new projector with the touch kit, these are the best Acer models to chose from, although it does work with any of the short throw or ultra short throw projectors on the market, here are the Acer specific projector models it works with.